We want you to bless your life and home with the influence and power of Relief Society. What a joy it is to be assembled together across the world as sisters in Zion. 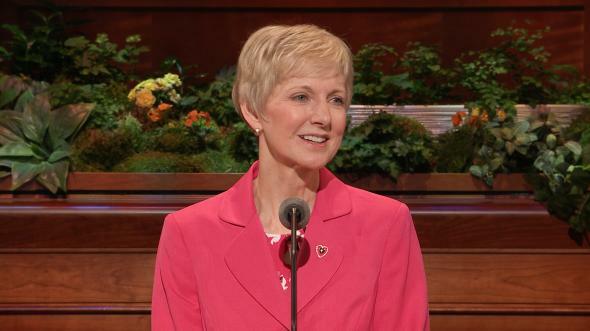 I am grateful for this opportunity to share with you my testimony of the Savior and express my love for you. I will speak today about why every woman needs Relief Society in her life. Soon after the Prophet Joseph Smith organized and established the Church, he also organized the women’s Relief Society. 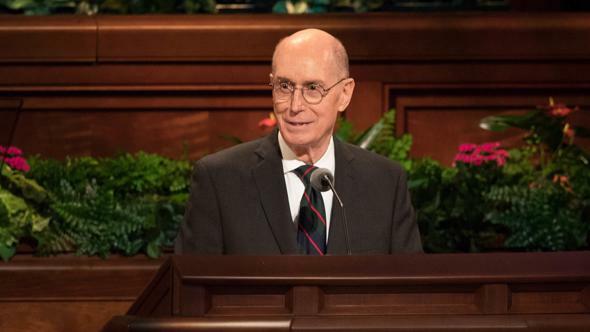 He said, “The Church was never perfectly organized until the women were thus organized.”1 The Relief Society is an essential part of the Church, and as a presidency, we hope we can help you understand why it is essential in your life. 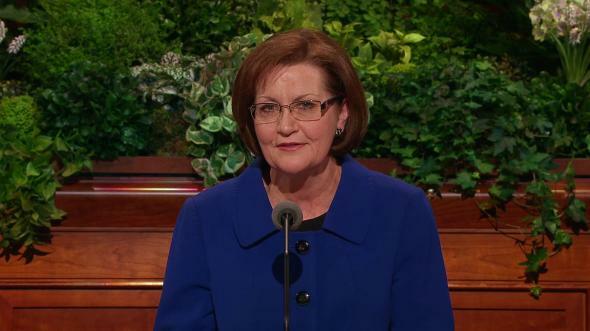 The deepest desire of our presidency is to help each woman in the Church prepare to receive the blessings of the temple, to honor the covenants she makes, and to be engaged in the cause of Zion. The Relief Society inspires and teaches women to help them increase their faith and personal righteousness, strengthen families, and seek out and help those in need. “Much of the major growth that is coming to the Church in the last days will come because many of the good women of the world … will be drawn to the Church in large numbers. This will happen to the degree that the women of the Church reflect righteousness and articulateness in their lives and to the degree that the women of the Church are seen as distinct and different—in happy ways—from the women of the world. I believe that these prophetic words are being fulfilled. The good women of the world are embracing the gospel of Jesus Christ in large numbers across the nations. You are the real heroines he was talking about. We have met you by the thousands as we travel the world. We have seen your good works; we have heard your heartfelt testimonies; we have felt your spirits. We have seen the light of the gospel reflected in your faces. Your example and influence for good are both extraordinary and remarkable. 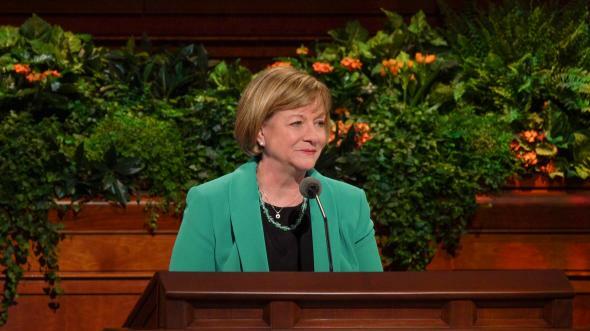 But we are also aware of the many women in the Church who are not fully enjoying the blessings of activity in the Church and in Relief Society. To those of you who already attend Relief Society, we extend a call. We ask you to go to the women who are not engaged in Relief Society work in your wards and branches to teach them with love what Relief Society will do for them. Testify to them that Relief Society will enrich their homes and personal lives. Offer your friendship and sisterhood. Watch over and strengthen them. Help us reverse society’s trend of disintegrating families. Help your sisters turn to the Lord and His plan of happiness for His children. They will find guidance, comfort, peace, understanding, and inspiration. They will know Heavenly Father loves them and cares for them in ways beyond measure. What does the Relief Society do for the women who accept the gift of activity in the organization? How does Relief Society bless families and homes? My mother was a recent convert to the Church when she was called to be the Relief Society president in our small branch in San Salvador. She told the branch president that she was inexperienced, unprepared, and inadequate. She was in her 30s, had very little formal education, and her whole life had been devoted to the care of her husband and seven children. But the branch president called her anyway. I watched my mother rise to the occasion. While serving, she learned leadership skills and developed new gifts such as teaching, public speaking, and planning and organizing meetings, activities, and service projects. She influenced the women in the branch. She served them and taught them to serve one another. The sisters loved and respected her. She helped other women to discover, use, and develop gifts and talents; she helped them become builders of the kingdom and of strong, spiritual families. 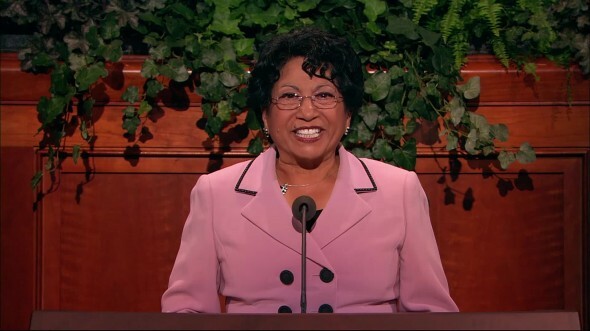 She stayed faithful to the temple covenants she made. When she passed away, she was at peace with her Maker. I have witnessed the same miracle in the lives of many women in different parts of the world. 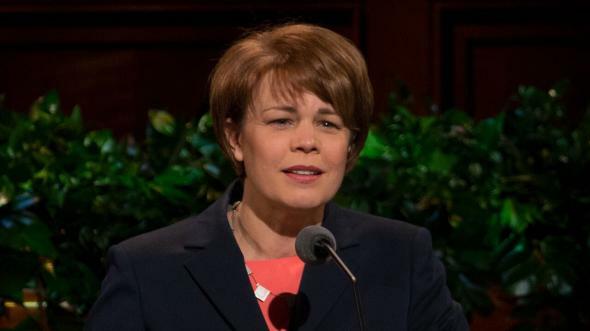 They embrace the gospel, and Relief Society helps them strengthen their faith and grow spiritually by giving them leadership and teaching opportunities. In their service, a new dimension is added to their lives. As they progress spiritually, their sense of belonging, identity, and self-worth increases. They realize that the whole intent of the gospel plan is to provide an opportunity for us to reach our fullest potential. With the work of Relief Society sisters, we help build up the kingdom and strengthen the homes of Zion. No other organization in the Church can do the service Relief Society does. Thousands of families are recipients of the service provided by loving visiting teachers who extend a comforting hand, a listening ear, an encouraging word. 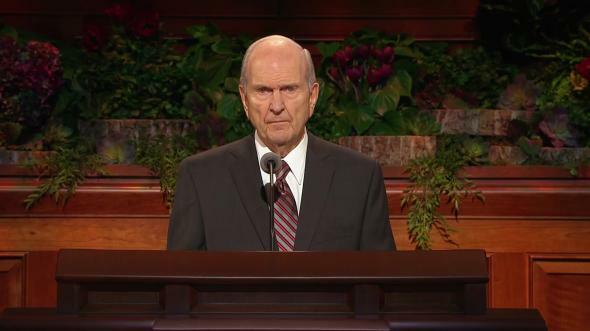 My husband is a bishop, and he says he could never do his work without the help of the Relief Society president. The Relief Society presidents throughout the world work hand in hand with their bishops and branch presidents to organize the sisters in the sacred charge of seeking out and helping those in need. Those devoted Relief Society presidents need your support and willing hands. Your attendance at Relief Society Sunday meetings will bless you, but your participation in the work of Relief Society will bless the whole Church. Whether you are young or old, single or married, widowed or living in a family, we want you to bless your life and home with the influence and power of Relief Society. There is a great need to rally the women of the Church to move the work forward. We invite you to minister with your powerful influence for good in strengthening our families, our church, and our communities. You are a much-needed force for love, truth, and righteousness in this world. We need you to nurture families, friends, and neighbors. It is through you that God’s perfect love for each and all of His children is made manifest. Relief Society reassures me that Heavenly Father loves me because I am His daughter. It reminds me that Heavenly Father has blessed me with talents and gifts. 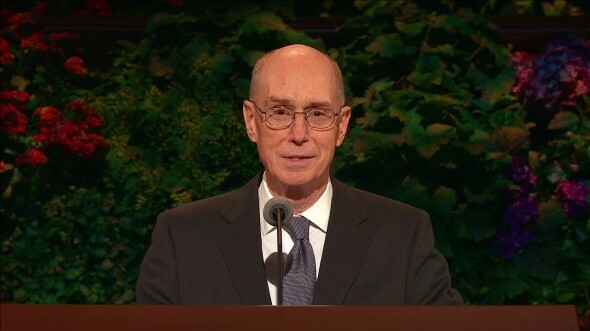 I learn that temple covenants are essential for me and my family. I learn to find joy in motherhood. Relief Society lessons and activities help me learn the skills needed to be a good mother. I recognize my responsibility to influence the rising generation for good. Relief Society helps me be a better wife, to honor and respect my husband. I am encouraged to seek learning and personal growth. I learn and practice basic principles of self-reliance in meetings and activities. I experience joy in service through visiting teaching and compassionate service. I discover gifts that I didn’t know I had. Relief Society provides me opportunities to use my talents. I learn that I can lift and encourage others. I learn that we all have something to share: love, kindness, smiles, sympathy, and more. I develop genuine concern for others. I learn to be a better neighbor and treat others with kindness. I learn resourcefulness and determination of purpose. I know that all of my Father’s blessings will be mine if I stay faithful and true to my covenants. The list goes on and on, and I am sure that most of you have something you would like to add to this list. 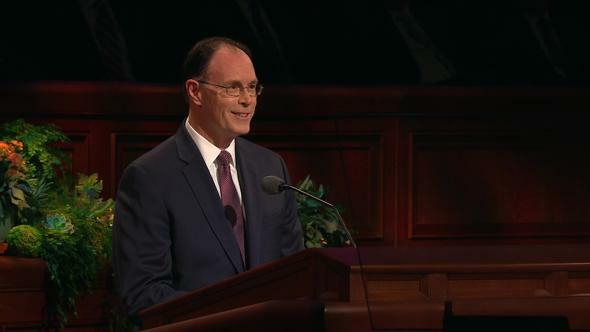 Relief Society is vital to the welfare of every home and family. Every husband and father should encourage activity in Relief Society. Every woman should come and learn the opportunities Relief Society has to offer. Every righteous woman has a significant role to play in God’s plan and the building up of His kingdom. Relief Society needs you, and you need Relief Society. 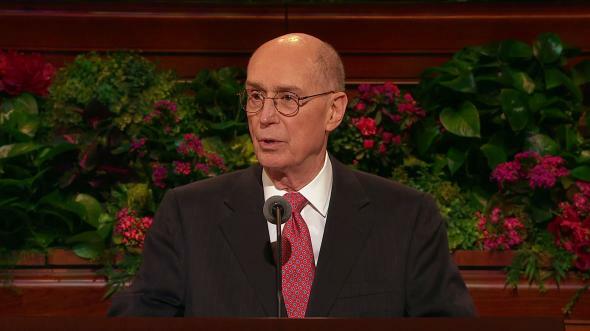 I testify to you that Relief Society was divinely organized to assist the priesthood in the work of salvation. I know Heavenly Father lives. He knows and loves you and me. Jesus is the Christ, our Savior and Redeemer. In the name of Jesus Christ, amen. Joseph Smith, quoted in Sarah M. Kimball, “Auto-biography,” Woman’s Exponent, Sept. 1, 1883, 51.